It is 5:15 in the afternoon and I am taking a break to rest from an outstanding day of speakers here at the Teach Them Diligently Convention! I have been blessed to hear from Kim Sorgius, Hal & Melanie Young and Rhea Perry today. The time in the vendor hall with what seems like hundreds of different curriculums has been great as well. Last night, David Allen and myself, had the chance to interview David Nunnery, Co-Founder of Teach Them Diligently. You can check out the video below. 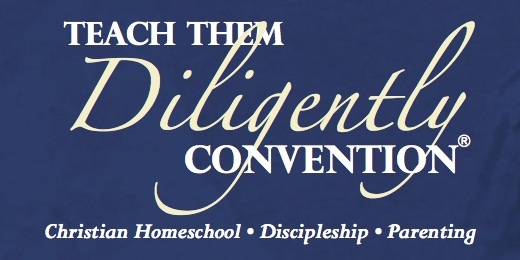 If you have not made it here to the 2015 Teach Them Diligently Convention in Atlanta yet, you can still get a one day pass to attend the conference and enter the vendor hall. Simply use the promo code when you register online : singleday2015 for a huge savings. How High Is the Bar Dad?